Lastly, I’d like to ask each of you to say something to the fans who are looking forward to the games. Masuda-san, would you please go first? Sure. When it comes to the scenarios, I came up with some of them myself, but it was Toshinobu Matsumiya who pulled them all together. 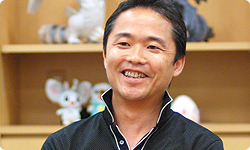 Matsumiya-san has been in charge of scenario and characters for the Pokémon games ever since Gold and Silver. A genius? What made you think that? He skilfully leads the players along, increasing their level of excitement, and thoroughly getting his message across, while also deftly building up events and establishing Gym Leaders and the characters of Team Plasma. I think the scenarios are different than we’ve seen before, so I can’t wait to hear what players have to say when they start playing without any prior information and eventually reach the end. You want to hear their impression as soon as possible. But you can’t. (laughs) Sugimori-san? In each new game, the first Pokémon you get from the professor is always a new one, but it was easy to get other Pokémon that you regularly depend on. Up until now, you’d be like, “I finally got Pikachu!” and keep it on hand from the very moment you acquired it, but all of the Pokémon are new this time, so there’s nothing like that in this world. Which makes for more new encounters. Right. It can be a little lonely without those familiar faces, but I think it would be great if players enjoy these games the way they did the original Pokémon Red and Pokémon Green instalments, taking joy in new encounters, and discovering new favourite Pokémon. I think if family members play together, they’ll be like, “Wow! Look at this guy!” No one knows what to expect, so it should be pretty fun. That’s true for the elemental types as well. Everyone can start from the same place. Right. New players and old hands can enjoy the excitement together. This time, there’s a lot of variation in gameplay. But first, I want players to walk straight down the big road. When it comes to the classic flow of Pokémon games—receiving a Pokémon, going on an adventure, enjoying a story, and reaching the ending—these games are the most carefully-constructed ones so far. You didn’t want to confuse the players. Right. We made it so you are sure to reach the end and enjoy a sense of accomplishment. But there are lots of other points. People who want to stray down side roads can do that. Some people may want to take the side roads once they’ve reached where they’re going, so they can do that when they take an interest in it. In that way, the games’ breadth and depth is amazing. You’ve packed a lot into them. I played it the first time with Snivy, the second time with Oshawott, and the third time with Tepig16, and even though I’ve played it three times, I still feel like I’ve only played about one-fifth of it. There’s lots of stuff I haven’t done, like the Pokémon Dream World. 16Snivy, Oshawott, Tepig: Names of the first three starter Pokémon from which the player chooses one at the beginning of the game. We still don’t know what will happen after the games are released, people around us are playing them, and the gaming community is talking about them. That’s right. Until that happens, I won’t feel like I’ve fully experienced them. The games are so big that I still haven’t played them enough — unless I experience them a little more fully, I can’t really speak about them correctly. I definitely hope players will experience the games as deeply as they can. I, too, don’t think players will be able to exhaust them easily. They’re that chock-full of content. I’ll finish up by saying something myself. 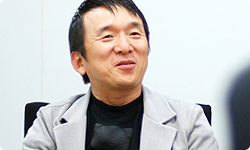 When Creatures17 was established way back, I was a board member, so I saw you quite a bit at meetings, Ishihara-san. I remember quite clearly how, while Pokémon was in the midst of being accepted all over the world, you said you place great importance on the connections between all kinds of things. 17Creatures Inc.: In addition to making the Pokémon Trading Card Game, this company has also been involved in development of software such as Walk with me! Do you know your walking routine? Chairman: Tsunekazu Ishihara. President: Hirokazu Tanaka. Headquarters: Tokyo. 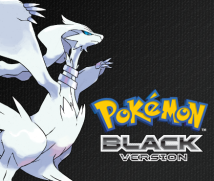 I feel like Pokémon Black Version and Pokémon White Version are one extreme example of that concept of connecting. 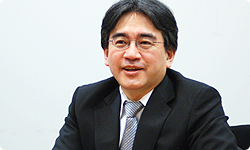 Ishihara-san, you’ve played it three times but still only feel like you’ve played one-fifth of it. I think that’s because while it may be fun, of course, to play through the scenarios and play the games on your own, that’s just a small part of a more complete enjoyment of the games. When lots of people around you are playing the games and you start connecting with them, it quickly becomes much more fun. It’s not the kind of game you clear and then just forget about. What I realised all over again today is that achieving that effect is a result of your constant attention to connecting. 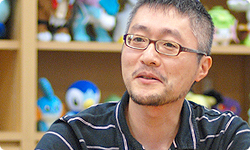 Another thing that made quite an impression on me was when Sugimori-san said that if you go all out at first and he applies the brakes the way he always does, you still go far—that the higher the hurdle, the higher you can jump. You’re doing something hard, but it seems like you’re enjoying it, so I think you guys are really a great team. I can’t wait to see the reception after release. Congratulations on your work!